I have had quite the week as a mom! 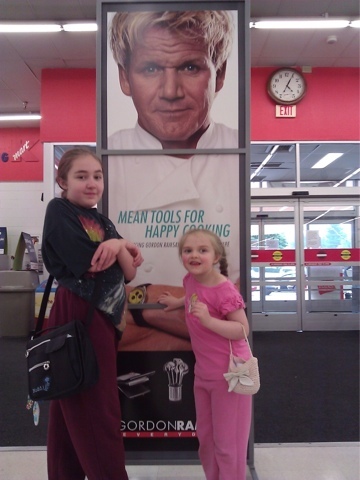 Today, I posted a photo of my daughters, Wren & Eden, posing in front of a store display prominently featuring Chef Gordon Ramsey. Before I knew it, Chef Ramsey himself had responded, telling me my girls are "gorgeous" and "send them my love." My daughters were delighted! Even more so by the response to the tweet...which has been re-tweeted all over the Twitterverse from as far away as the Netherlands! Thank you, Chef Ramsey...from the bottom of our hearts. What can top that? Well, here it is: my son Phoenix won his election and is now a Student Senator at Portland State University and a candidate for Multicultural Affairs Director!